I mean - not just coffee - my Mochas! Well, a couple of weeks ago I received a lovely email from The Lovely in Life asking if I would like to try out Mocha Mitts - um, yeah - mocha is in the title! So shortly (very shortly after) I received 2 fabulous and stylish Mocha Mitts in my mailbox! I promptly put them in my purse to use when I pick up a coffee - sometimes I bring a reusable mug, but not always (I am forgetful and those mugs are way hard to carry in your purse!). 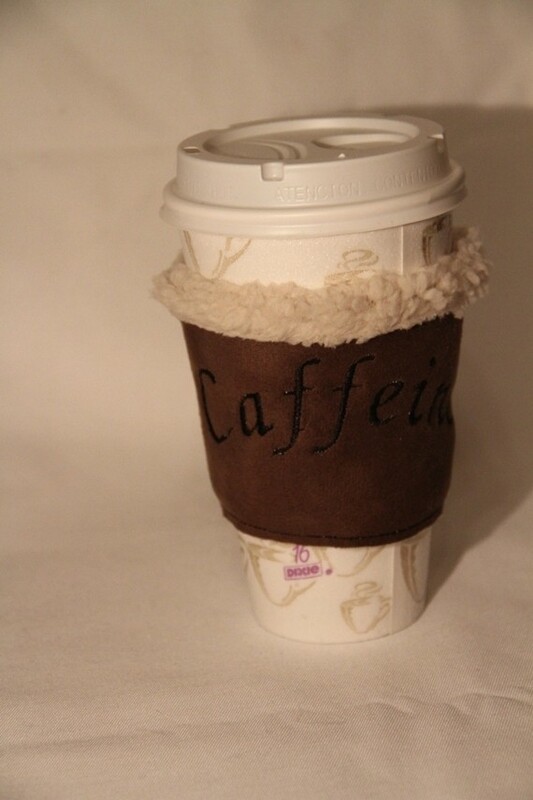 My mocha was ready and out came my Parisian Cafe Mocha Mitt and everyone thought it was FAB! And it kept my hand a perfect temperature - not too hot! I also have the Zebra Print! I can pick which one goes with my mood...or outfit - so FUN! And guess what these beauties work for cold drinks too! They are made exceptionally well and really work and they are a fun addition to my daily cup (or three) of coffee! Thank you The Lovely in Life and now you can win your own Mocha Mitts! a $20 giftcard to Starbuck's. I'd be super-thrilled with that prize, wouldn't you? 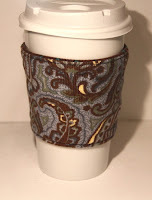 3 - Go check out the Mocha Mitt designs and tell me which one is your favorite. 6 - Tweet the giveaway: "Win 2 mocha mitt's and FREE coffee @504 Main"
Disclosure: 2 mocha mitts were provided to me for review. No other compensation was provided. The giftcard will be purchased independently. Oooooh yay!! I LOVE coffee! =) Following The Lovely In Life now! I follow lovely in life! Holly, you know I don't usually enter your giveaways, and I'm not a coffee drinker. But Mary is, so this time I'm in. Already follow you. Mary would love the "No Coffee No Wake" mitt. I am also a new follower of The Lovely in LIFE! The CoFFee SlEEve is my favorite design. I'm cool on the mocha mitts.... they are cute, though! I can totally see you stylin' them girl... Sorry about the PDF stuff. It's so irritating when they surprise you with things like that. Did someone say mocha? I am following The Lovely in Life! And you know I stalk you already! Love Oooh La La and Parisian Cafe! And I like you on FB...I really like you! I went to Babble and voted! Fun giveaway! Following Lovely in Life! gotta say my fave sleeve is Ooh Lala! I follow 504. Love these. My favorites are the French Tower, the chandy, and the pink zebra. Already a follower! Thanks for the giveaway! Love the Zebra print mitt! I follow The Lovely in Life! 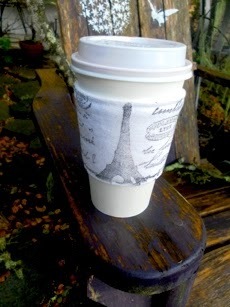 I love the Parisian Cafe sleeve! I like 504 Main on FB! Following the lovely in life! Voted on babble for you!! Eco Friendly Oh LaLa is my fav! And last but not least, I facebooked abouT the giveaway! I now follow 504 Main! I, of course, follow 504 Main! I think my fav is the "oohh lala" design! I'm a new follower for The Lovely in Life! 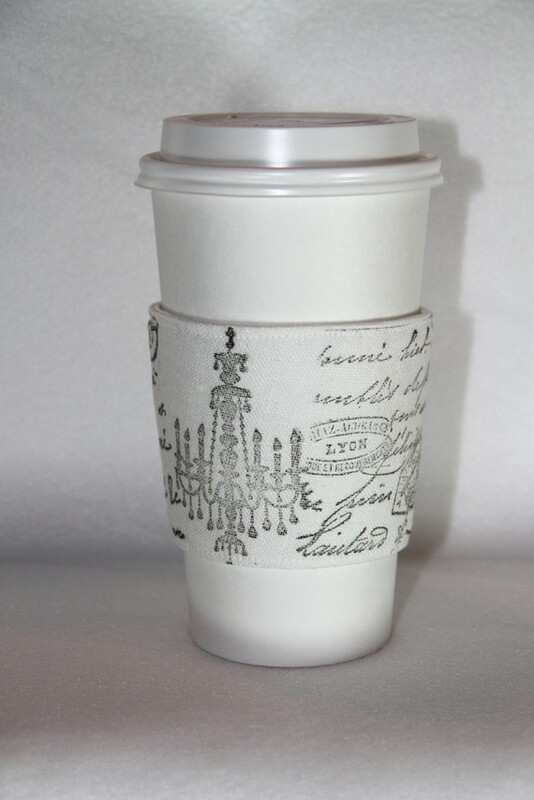 I love the Parisian coffee, the Elegant III, and the bride and groom ones! Adorable! I follow 504 main on facebook! I'm a follower of Lovely in Life. Also a follower of 504 Main. My favorites are the two with French designs. Like 504 Main on Facebook. I voted for you on Babble. Good luck. Following The Lovely in Life. I like the zebra print one! I'd have to say I'm loving the zebra print the most! Now a follower of The Lovely in LIfe! Already a follower of 504 Main. 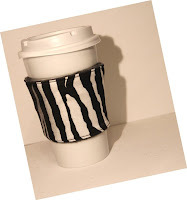 Love the No Coffee No Wake and the Zebra Print. The "Super Soft Swirly Pinky Minky" is just too indulgent for words. How could I not love it? I'd feel like a rock-star/princess. Of course I follow 504 Main! I (Carey Cherivtch) and my FB page, GypsyThread, both "like" you! I like 504 on FB! Voted for 504 on Babble! I love her mocha mitts. My favorites are Ooh La La and Parisian Cafe. Pick me!! Pick me! !Would love to win this one. I have never actually won anything in blogland. I am now following Lovely in Life. I went over and voted for you on Babble. Good luck. Following The Lovely in Life. I like all of the mitts, would be hard to choose two.